I'm here with Frances, we are performing Botox injections on her today. 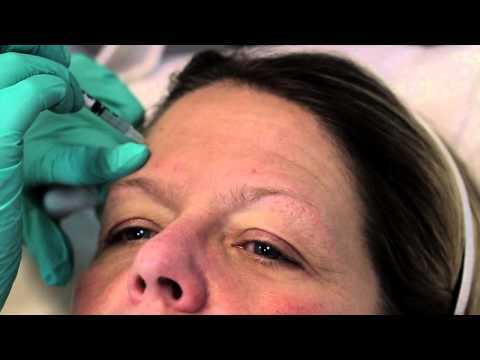 Before we get started with the treatment, we're going to over the three major muscle groups that we treat with Botox. The very first one is in between the brows, we call that Glabella muscle. You can see here Frances frowns down for me real hard, she creates a little divot right there, and people commonly refer that to as their elevens. The second major group of muscle is the upper forehead here, lift your forehead up. We call that the Frontalis muscle, and people commonly get the forehead muscle treated mainly sticking with just the upper two thirds of the forehead. The third area that we typically inject is called the crows feet. If you smile real big here, you can see that Frances creates little wrinkles along the Orbicularis muscle. Now we are going to perform the injections into the Glabella. The first thing we do here is just use a little alcohol swab and dab the center area where we're going to inject. Frances, can you make your mad face for me? [Scrunch 00:01:10] real hard, I'm going pinch, little stick, there's one, little pressure, doing okay? Frances:	Fine, perfect. Amy Herrmann:	All right, scrunch down again for me. Good, go ahead and relax, little pinch. Scrunch down real hard for me, good go ahead and relax. Turn towards me just a bit, good go ahead and scrunch down, relax. Scrunch down, good relax. 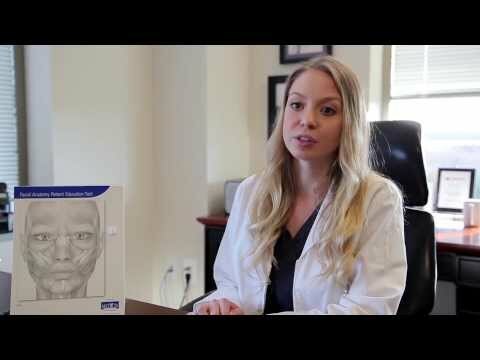 After we perform Botox injections, we need to make sure that our patients do not lay down or exercise for four hours, and we do have everybody come back for a two week followup. Some things patient should expect after injections of Botox into their Glabella muscle, is it taking effect in about three to five days. The final results are typically about two weeks, although some people it does kick in a lot quicker. 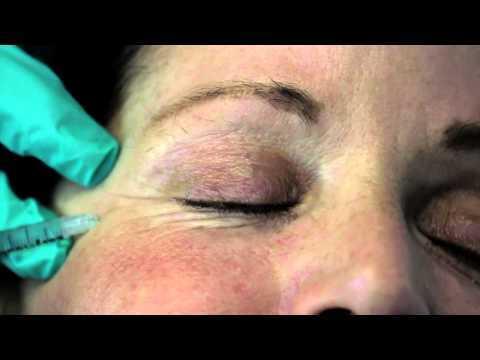 Also after treating the Glabella muscle here, patients tend to get a little bit of an eyebrow lift. Most patients really like an eyebrow lift because it seems to open their eyes and gives then not such a tired look.